I like thrift shops and used bookstores to find books about living off the grid and wilderness adventures. 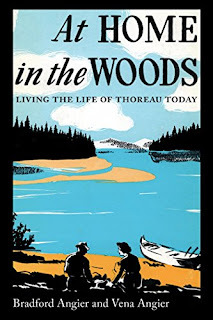 One I found recently was At Home in the Woods: How two young people forsook civilization to live the life of Thoreau in the Canadian wilderness (The Macmillan Company, 1951). The book was written by Bradford and Vena Angier with Vena Angier as the narrator. The story was told from her point of view. 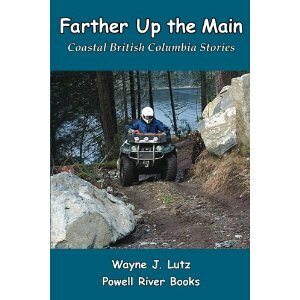 I really enjoyed reading about their experience of moving off the grid to the Canadian wilderness. 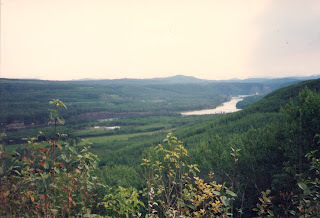 The Peace River near Hudson's Hope in 1994. Vena and Brad had city-folk jobs in Boston. They enjoyed the outdoors and greatly admired Thoreau’s simple life at Walden Pond. 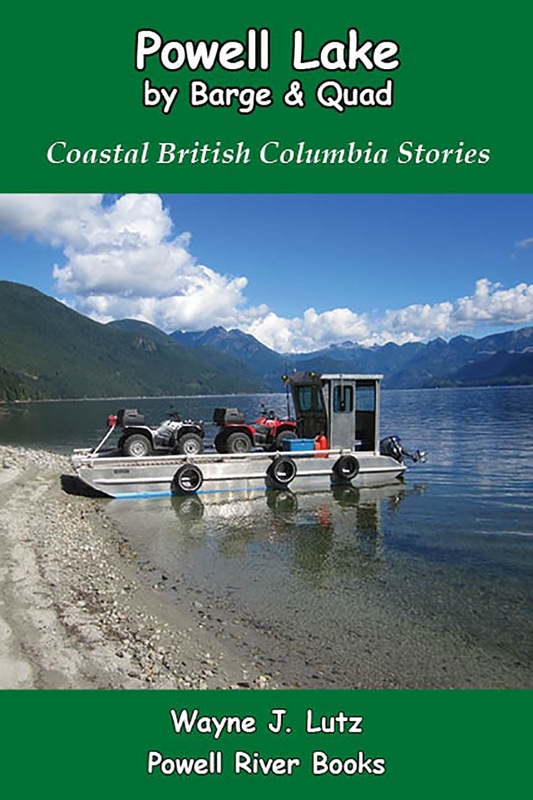 They searched for property and selected Hudson’s Hope in British Columbia's interior to live out their dream. They found an abandoned cabin six miles from town and used it while they built one of their own with recycled materials. While living a simple life away from civilization they learned the skills needed to survive in the wilderness. They had minimal income from writing magazine articles, so they got as much of the food and materials they needed from the land. 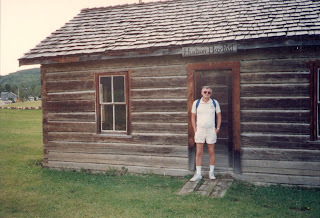 Wayne in front of the Hudson Bay Post in 1994. They made friends in Hudson’s Hope and explored the area by boat on the Peace River, by horse to a mountain lake, and by hiking everywhere, including up the ice and snow encrusted Rocky Mountain Canyon. The Hudson Bay Company Post in town was not only the trading post, but also a center for community life. People from around the area, including Vena and Brad, would go there for celebrations and events. After three years, they left the bush and returned to the States. After a time back in civilization, they chose to return to Hudson’s Hope. And in the end, Brad was able to purchase the land on which their cabin stood. Now no one could take their dream away. Wayne and I stopped in Hudson’s Hope on one of our trips in Arrow 997. I remember walking down to the small village from the airport 6.6 kilometres (4 miles) away. Remembering the trek back up the steep road made me appreciate how difficult it was for Vera to walk the six miles from their cabin to get mail and groceries. Stovetop toast with homemade flaxseed bread. We ran out of bread and wouldn’t be going to town for a few more days, so I decided to make some for our breakfast toast. I didn’t want to wait for my sourdough starter to work, so I tried a recipe for flaxseed bread I'd saved from an old Our Canada magazine. Add warm milk mixture to dry ingredients. In a large bowl, combine the whole-wheat flour, 1 cup all-purpose flour, ground flaxseed, whole flaxseed, yeast and salt. In a saucepan, heat the milk, brown sugar, honey and 2 tablespoons of butter. Add to dry ingredients when it has cooled to just warm. Stir in enough of the remaining all-purpose flour to form a firm dough. Turn onto a lightly floured surface and knead until smooth and elastic, about 6-8 minutes. I had to add about ½ cup extra all-purpose flour during kneading to keep the dough from sticking to the breadboard. Knead, let rise and test. Place in a large bowl coated with cooking spray, turning to coat all side of the dough. Cover and let rise in a warm place until doubled, about 1 hour. I used the wonderful King Arthur dough rising bucket that my friend Jeanne gave me. To test the dough, use your fingers to indent the surface. If it doesn’t spring back, it’s ready to punch down. Turn the dough onto a lightly floured surface and shape into a loaf. I’d already cleaned my breadboard so I used a piece of plastic wrap taped to the counter for easy cleanup. Place it in a 9X5-inch loaf pan coated with cooking spray. Cover and let rise until doubled, about 30 minutes. Let the loaf rise again. Bake at 375°F for 35-40 minutes or until golden brown. Remove from the pan to a wire rack. Melt remaining butter and brush over the bread (optional). Then let cool before slicing. I like the slightly sweet nutty flavour for our morning toast. Topped with some of my homemade grape and plum jam, it was perfect with our morning fruit. 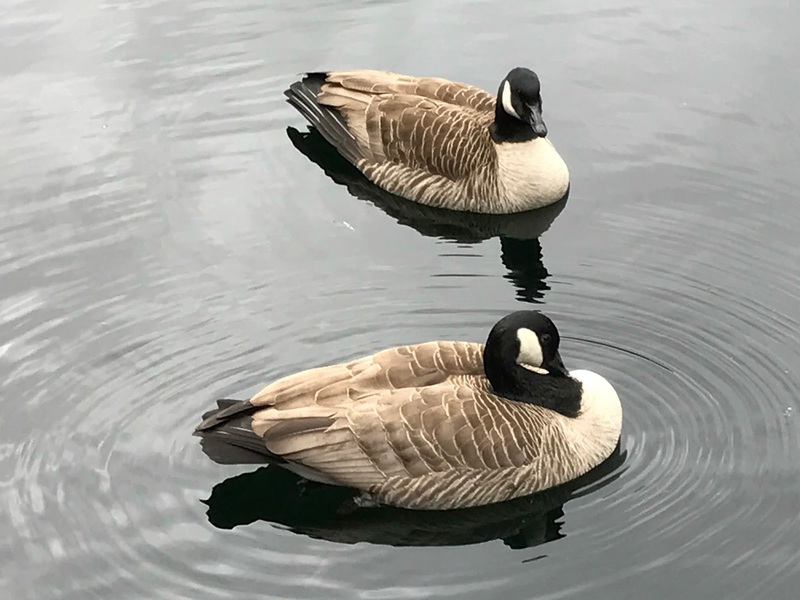 After a long quiet winter, it's nice to have birds returning to Hole in the Wall on Powell Lake. The first to arrive on the scene were the Canada Geese. A flight of five came honking their way into Hole in the Wall early in April. Since then, the group has split up. Three have been congregating at the back of the Hole, and two have taken up residency in John's back bay across from us. We can hear them honking back and forth early in the morning. Usually they stay out in the lake, but recently a pair has been coming up to stand on our log booms and swim in our inner pool area. I've been keeping a eye on them because I don't want troubles out at my floating garden. In the past, geese have climbed aboard to partake of my tender crops. But so far, so good. I had to play a little joke on the male goose. Top Gun is one of our favourite movies (after all, we're pilots). One memorable line was, "Talk to me Goose." Goose was the call sign of pilot Maverick's EWO (electronics warfare officer). Wayne and I have chosen to live where we are surrounded by nature. We've always been outdoors kind of people. 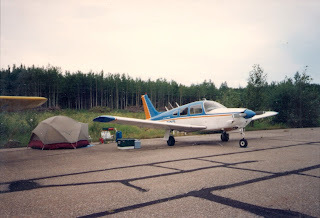 We met each other on a flying camping trip to Canada and have gone on many adventures since. 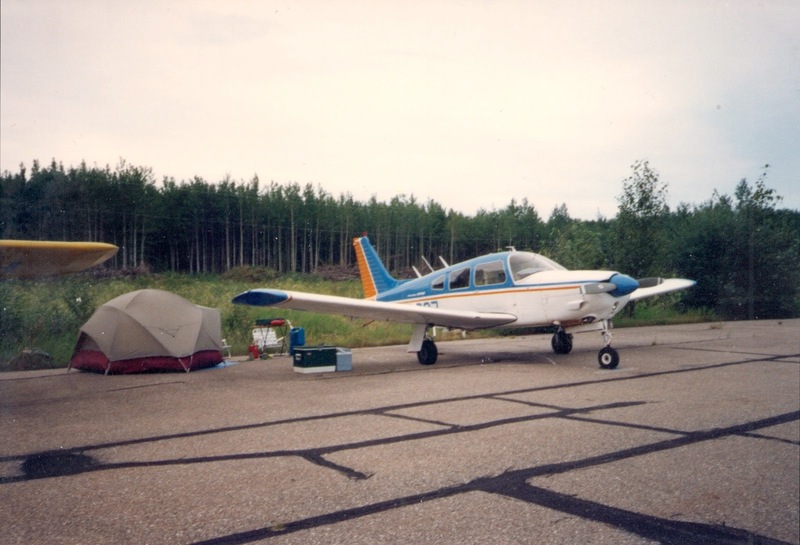 In 2000, we stopped at the Powell River airport for fuel and an overnight stay. 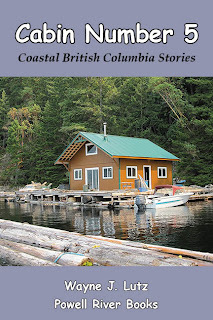 We fell in love with the area, so we returned the following summer and discovered floating cabin. We knew immediately it was where we wanted to live. One of the main draws was the opportunity to live a simple, off-the-grid lifestyle. Off-the-grid is typically defined as living away from public utilities, especially electricity. Our float cabin isn't connected to electric, water or sewer grids, so we had to find other ways to handle our utilities. The cabin came with propane as a power source for lights, refrigeration and cooking, and a woodstove for heat. The cabin floats on the surface of a freshwater lake so our water source was located four feet below our floor. 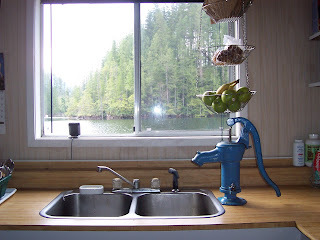 A hand pump at the kitchen sink brings water into the cabin with just a few pumps of the handle. Because we wanted to have some electricity for cell phones, computers, lights and a few small appliances (think shaver, spice grinder, radio), we installed a solar panel and two batteries. Over time, that has grown to three panels and two sets of 8 batteries. To augment our solar power we added a wind generator, but we only create power during stormy weather. During winter we periodically recharge our batteries with a 1000 watt fuel efficient generator that's fairly quiet. 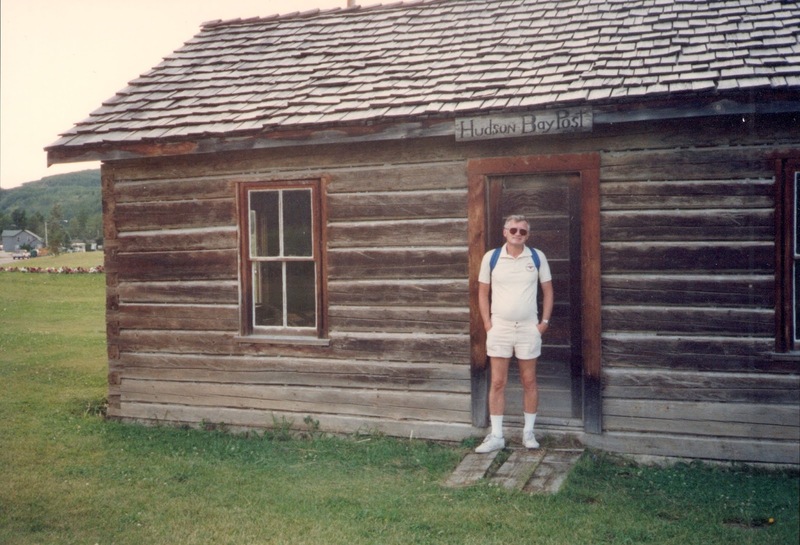 When we purchased our cabin we started with an outhouse that was three flights of stairs up the cliff. When started living here full time we upgraded to a compost toilet and added a bathroom onto the cabin. 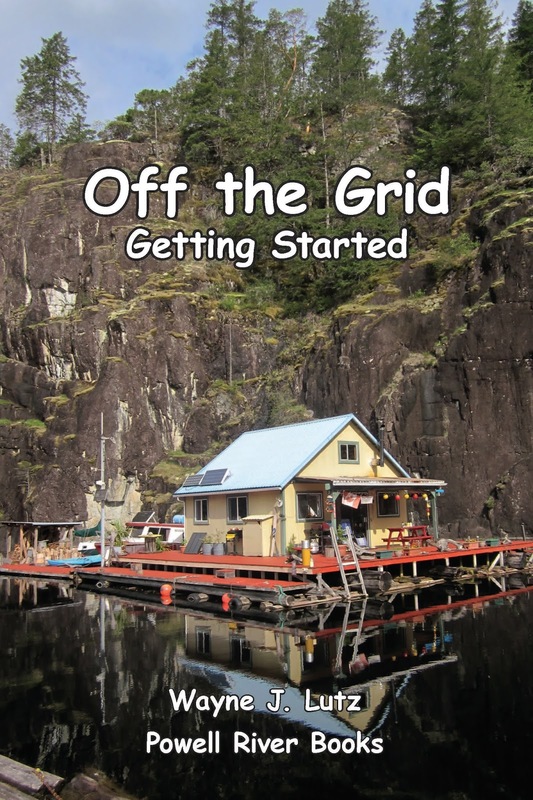 Off the grid living isn't for everyone, but for us it's the perfect choice. I've grown rhubarb in a medium sized container since 2010. It started from bare-root stock and has provided me with enough stalks each year to make several pies and crisps. I knew my plant was becoming pot bound due to visible splits in the plastic container, and the reduced production in larger stalks. 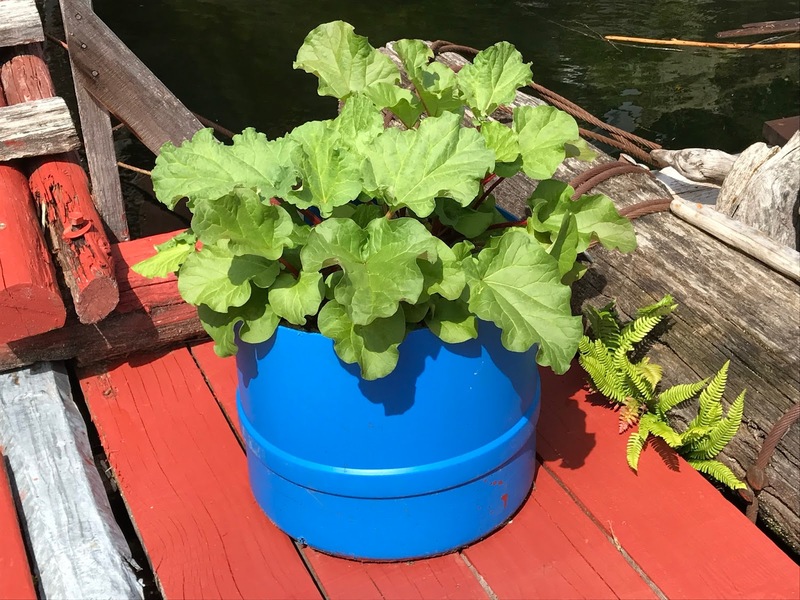 I researched online and watched YouTube videos about how to divide and replant rhubarb. The root mass removed from the pot. I waited for fall when the plant became dormant. It was so pot bound it took me a long time and lots of digging to loosen it from the container. You can see what a tight mass the roots had formed. Using a serrated knife to cut the roots. There was no evident division point in the plant, so I decided to cut it right down the middle. The slice exposed very large roots cut right through the middle. I worried that the "wounded" roots might die or become diseased, but that didn't happen. I used a larger pot and placed both sections in with plenty of spreading room in between. The two halves get a larger pot. I made sure the plant crowns were even with the top level of the soil. I used fresh potting mix to fill in the empty spaces between and around the the roots. To protect my plants from the coming winter's freezing temperatures, I covered the top of the pot with crumpled newspaper, cardboard and an inch of soil. Here's a post of a similar process I used with my dahlia tubers. When spring arrived, I removed the covering to expose the budding shoots. I'm happy to report that both sides have not only survived, but are thriving. 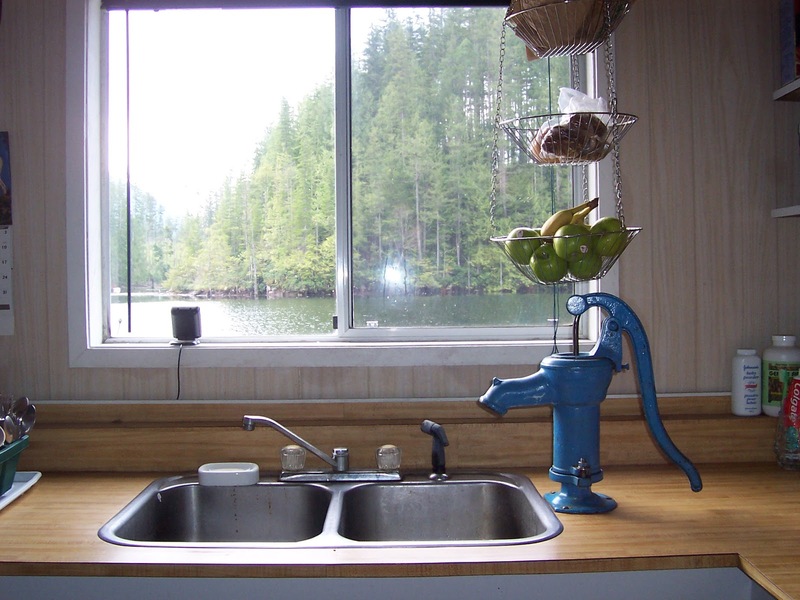 I live in a float cabin on Powell Lake in Coastal BC. Each year, a tiny plant appears right at the waterline on one of our cabin's cedar float logs. This year there are better specimens on a boom log. On the cabin, it grows in the shade. On the boom log, it is in full sunlight. It has a white stalk and is topped with a yellow-orange fruiting body. It's only about 6 mm (1/4 inch) tall. It appears in April and is gone when the weather gets warm. After a bit of searching I found the UBC (University of British Columbia) Botanical Garden and Centre for Plant Research website. If you like plants in nature or the garden, this is the place for YOU! There's also a forum with a wealth of information.